In 1849, Harriet Tubman trekked ninety miles from Maryland to Philadelphia under constant threat of being caught and either killed or returned to the white family that owned her. When she arrived in the city of brotherly love, she found that she was unable to enjoy her freedom. She was plagued with thoughts of her family members, who were still enslaved. “I was free, and they should be free,” she said. When she received word that her niece Kessiah was being sold to a new owner, she took action. With the help of Kessiah’s husband—a free black man—Tubman returned to the south and rescued her niece and her niece’s two children. Then she headed back to Maryland to rescue two of her brothers. When that trip was completed, she started another. For the next eleven years, Tubman returned again and again to the Eastern Shore of Maryland; all told, she rescued seventy slaves, both family and strangers, in thirteen expeditions. She also provided specific instructions for fifty or sixty other slaves who were planning escapes. Tubman was relentless in her missions, and famous for her success. Despite the best efforts of slave-owners, she was never captured, and neither were the fugitives she guided. 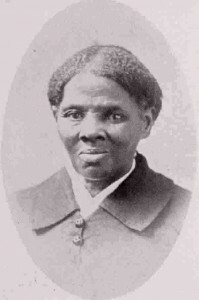 Years later, she told an audience: “I was conductor of the Underground Railroad for eight years, and I can say what most conductors can’t say—I never ran my train off the track and I never lost a passenger.” The abolitionist William Lloyd Garrison gave Harriet Tubman the nickname “Moses”, an allusion to the prophet in the Book of Exodus who led the Hebrews to freedom from Egypt. Tubman’s efforts are even more impressive when you take into account that she was a five-foot tall, disabled woman with no education. As a child in Dorchester, Maryland, she was regularly lent to other masters by her owner, so she rarely saw her family. 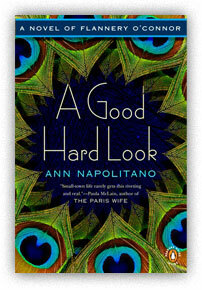 She was, in the course of her work, regularly beaten, and shown almost no kindness. When Tubman was a teenager (and still enslaved) she was sent to the dry-goods store on an errand, where she encountered a slave from another family who had left the fields without permission. His furious overseer ordered Tubman to help restrain the runaway, and Tubman refused. When the slave started to run, the overseer threw a two-pound weight at him, missed, and the weight struck Tubman. In her words, it “broke my skull”. Bleeding and unconscious, Tubman was returned to her owner’s house where she was left without medical care for two days. When she finally revived, she was sent back into the fields “with blood and sweat rolling down my face until I couldn’t see”. She began to have seizures, crippling headaches and narcoleptic attacks. This condition (later assumed to be temporal lobe epilepsy, resulting from the injury) stayed with Tubman for the rest of her life. When asked why she risked running away from her slave owner, Tubman said, “There was one of two things I had a right to, liberty or death; if I could not have one, I would have the other.” She willingly, and bravely, put her life on the line countless times. She left her safe, hard-won home in Philadelphia to sleep in the woods with a revolver at her side, praying the slave-catchers would not hear her or the runaways she was transporting. When the Civil War broke out in 1861, she saw it as an opportunity to assist fugitive slaves, and spent the next several years in army camps, often playing nursemaid to ill soldiers, braving gunfire with each attempt to move yet another slave towards freedom. In 1863, she became the first woman to lead an armed assault during the Civil War. Tubman was asked to guide three steamboats around Confederate mines in the Combahee River, a stretch of water she knew well. Plantations were attacked and set fire to by soldiers, and when the steamboats finally sounded their whistles, slaves throughout the area understood that they had been liberated. More than seven hundred slaves were rescued in the Combahee River Raid. The famous abolitionist Frederick Douglass wrote in praise to Tubman, “Most that I have done and suffered in the service of our cause has been in public, and I have received much encouragement at every step of the way. You, on the other hand, have labored in a private way. I have wrought in the day—you in the night… The midnight sky and the silent stars have been the witnesses of your devotion to freedom and of your heroism. Excepting John Brown—of sacred memory—I know of no one who has willingly encountered more perils and hardships to serve our enslaved people than you have.” Harriet Tubman met every obstacle with courage, until the very end of her life. When a New York surgeon offered to, at long last, repair her head wound, she refused to accept any anesthesia for the procedure, and reportedly chose instead to bite down on a bullet, as she had seen Civil War soldiers do when their limbs were amputated. Harriet Tubman never stopped working for her cause; she never stopped to rest. She saw the Civil War as an opportunity to continue and expand her work, instead of an interruption. She received government rations for her army work initially, but when newly freed blacks thought she was getting special treatment, she gave up her right to the supplies. Instead, she earned money selling pies and root beer, which she made in the evenings. She spent her life in near-constant poverty, working small jobs to make ends meet while devoting the bulk of her time to her cause. The common image of her is a dogged woman trudging through dark woods, intent on saving just one more slave, and this representation is a fair one. Tubman was deeply industrious, without any promise or delivery of monetary reward. She worked hard because her work was important; she was saving lives. It is a common misunderstanding to think that Harriet Tubman devoted her life to freeing slaves. What she actually devoted her life to was helping people. During the Civil War, she nursed the sick and wounded. After the Confederacy surrendered and there were no more slaves for her to liberate, she became an activist for women’s suffrage. When a white woman asked Tubman whether she believed women ought to have the vote, she replied: “I suffered enough to believe it.” When the National Federation of Afro-American Women was founded in 1896, Tubman was the keynote speaker at its first meeting. She started a rest home for elderly African Americans, because she saw that there was no place for them to go. After buying a parcel of land from the abolitionist senator William Seward in Auburn, New York, she used the property to shelter people who had no money or home. It is impossible to imagine someone who started with less than Tubman, and yet she chose to look at the world around her and say, How can I help? To this day, her example is an inspiration to every individual seeking equality, and a shot at a better life. Ann, I love this series and can’t wait to see who is next on your list. I’m wondering if Carrie Chapman Catt or Lucretia Mott might make the cut. Also thinking of W.E.B. DuBois. And then there’s Ulysses S Grant who lived through such highs and lows over and over. That haunting image of him sitting on a borrowed porch, dying of throat cancer, having lost everything to his son in law’s stock market speculations, laboring to write the memoir that would support his family after his death. Who knew it would be one of the best military memoirs ever written? How inspiring. Thanks for this lovely reminder of an incredible person in history. Thanks, Erika – I appreciate it.